If anyone's wondering, a few songs are album only because they were released under her new label, Island Def Jam (LOVE? 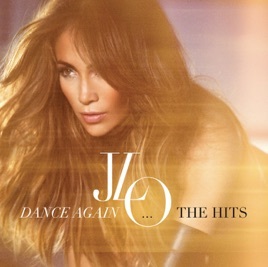 and the Step Up soundtrack), whereas all the other songs are part of her old label (all her previous material + Dance Again and the greatest hits), now under Epic. The greatest hits fulfills contract obligations with Epic. I'm only a recent J Lo fan, but everyone tells me the track listing is disappointing considering her wealth of good material. Probably not worth buying if you're a fan because you likely have all these songs, and better ones. It has a meaning to me!! And that's what I love about your songs because all of them have a meaning to you!!! Love you Jennifer and hope you have a great tour!! !